For whatever reason, Microsoft always seems to neglect to develop or simply leave out features that should seem commonplace in the Windows operating system. 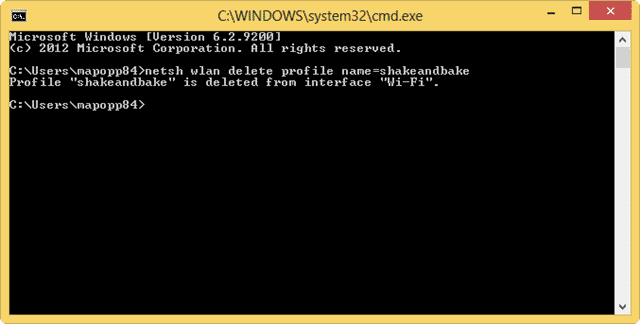 In Windows 8, you can’t just delete Wi-Fi networks, not in range from your networks list. Even if you’re not in range, those networks are still there and this can be annoying when trying to find the right network to manually connect to that’s in range. We’ll show you how to delete Wi-Fi networks that aren’t in range directly from the command line. As of now, this is the only way to do so, but who knows if Windows 8.1 will bring back some of the lost functionality we’ve come to know in Windows. Keep in mind that working with the command line can be frustrating. Following our steps below is key to getting the most out of deleting Wi-Fi networks from the command line. You’ll be using a combination of the command prompt and the Networks feature built-in to Windows 8. 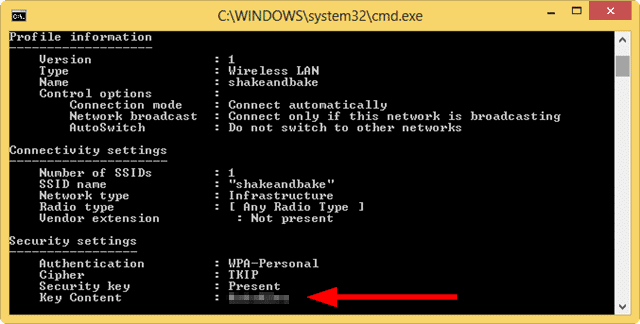 The command prompts will open up access to what you need to truly remove wireless networks, not in range on your PC. Now, the following commands can be used to work with networks, not in range. Remember to remove the brackets before using these command prompts. This will show all profiles in your Networks in Windows 8 whether you used them once, never connected to them but picked them up or use them frequently. Any hidden networks, even if they aren’t in range will be displayed. This will give you access to any security keys for networks not in range through the Security Properties in Networks. This will delete a stored profile from the memory of any device it connected to through your computer. For example, if you have two different wireless cards and connected to a network once through both devices, this will clear that network from both those devices. This will do the same from above but allow you to delete the profile from a single wireless device, not all of them. This can be useful if you use a work wireless card for a specific network but don’t want the profile saved on the wireless card you use for your home network. The command line can be a tricky prospect for those not comfortable with using it. 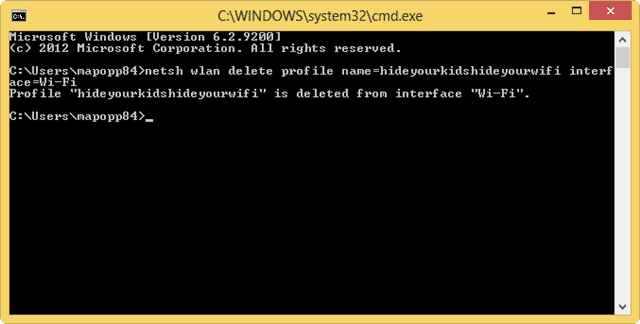 While we’ve covered many guides here at TechNorms on it, such as showing you how to avoid using it all together and how to delete files with it, there are alternatives to using the command prompt to delete wireless networks, not in range. If you’re not comfortable using the command line in Windows 8, stay away from it and find alternatives, such as what we’ll showcase what’s below. Are there alternatives to using the command line? There are two easy to use alternatives to using the command line to remove a wireless network, not in range of your Windows 8 PC. The first is WiFi Profile Manager 8. Once you download, unzip and start it up, you’ll see all the networks you’ve ever connected to over wireless on your PC. This includes private and public networks shows you the type of security and what type of connection setting you utilized. By right-clicking on a network, you can remove it permanently similar to the way the command line prompt works. 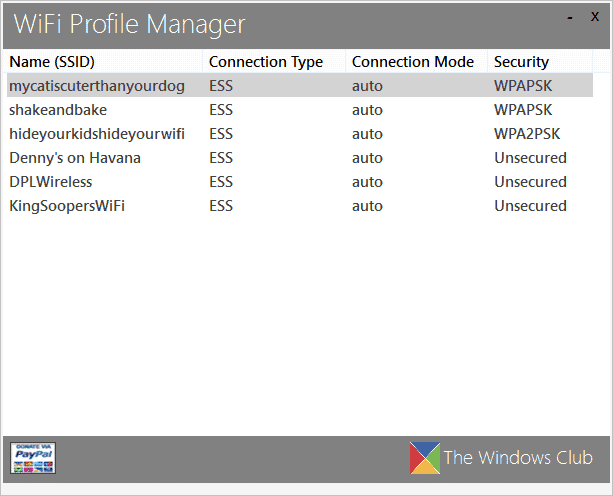 I love WiFi Profile Manager because the interface is sleek and the program itself is easy to use. While it may not give you all the functionality the command line does, it gives you what you need to get the job done and delete Wi-Fi networks from your PC permanently. 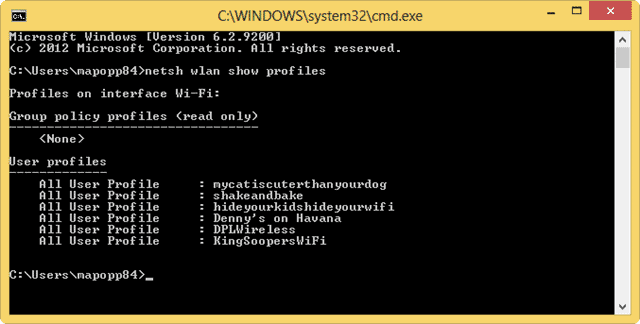 Wifi.exe is a command line prompt-based program that does all the hard work and prompting for you. 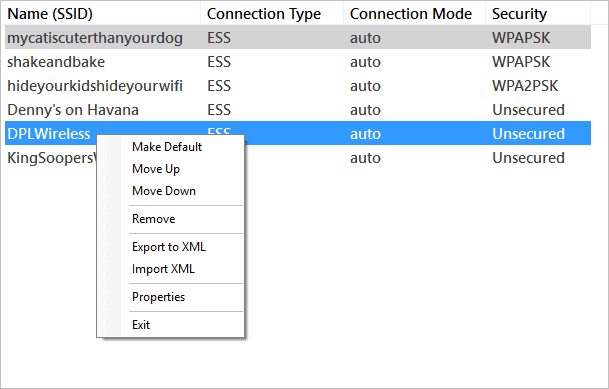 If you’re not comfortable with command line prompts, using Wifi.exe can make it easier for you. Wifi.exe’s website gives you detailed instructions on how to use the program to delete networks stored in memory. Wifi.exe is easy to use because you really don’t do anything to make it work. It still uses the command line but on your behalf so you don’t have to go through complicated steps to delete your Wi-Fi networks. Why does Windows make it so difficult for users? Microsoft has often taken for granted that users don’t always want to do things the hard way. Many features taken away from Windows 8 from Windows 7, such as the Start Menu have forced users to find solutions elsewhere. This doesn’t bode well for Microsoft when trying to build the next generation OS. We’ve already seen that Windows 8.1 is going to reintroduce certain features left out of Windows 8’s initial release, such as a reconfigured Start Button. But will Microsoft address this issue? They’ve publically acknowledged it, but only time will tell if you make it easier for you truly manage your wireless network connections in Windows 8. 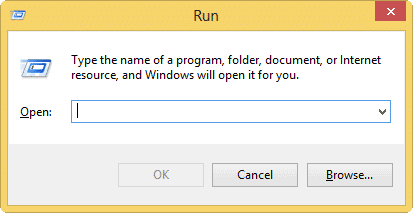 Unfortunately, Microsoft didn’t address this issue in Windows 8.1, and only time will tell if they ever will. So far, Windows users, it looks like we’re on our own again. Next articleWhat Does Defragmenting Do for My Computer and is It Really Effective?